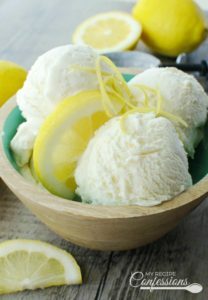 I created a recipe for lemon ice cream last year. 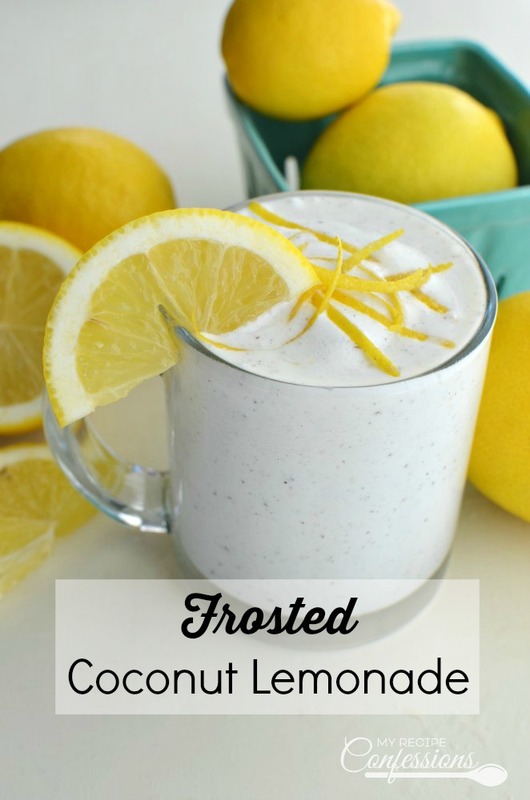 Lemon is my weakness and I am always thinking of new lemon recipes to make. The recipe I created last year uses an ice cream maker. 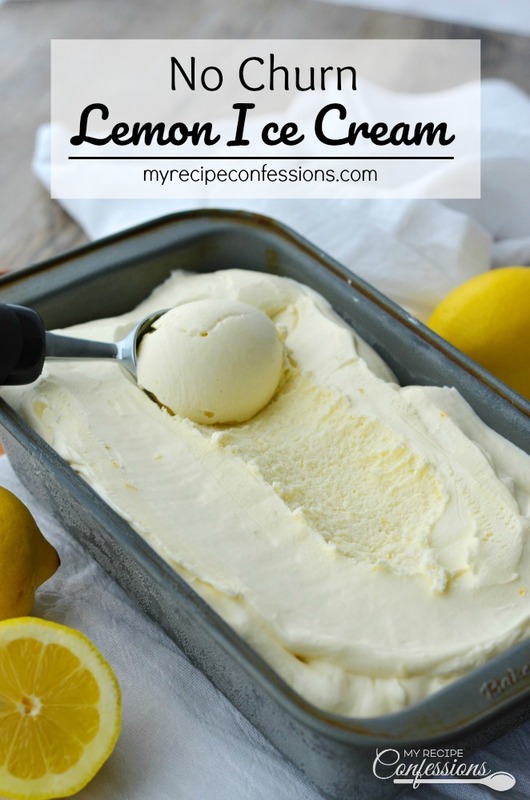 I love my ice cream maker because it is so easy to use and within minutes I can enjoy some homemade ice cream. But, the only problem is that not everybody has an ice cream maker. The beauty of this No Churn Lemon Ice Cream is that it doesn’t require an ice cream maker. This means that ANYBODY and EVERYBODY can make it. All you have to do is mix the ingredients together, throw it in a container, and your freezer does the rest of the work for you. It really is that easy. This ice cream is simply too good not to share. 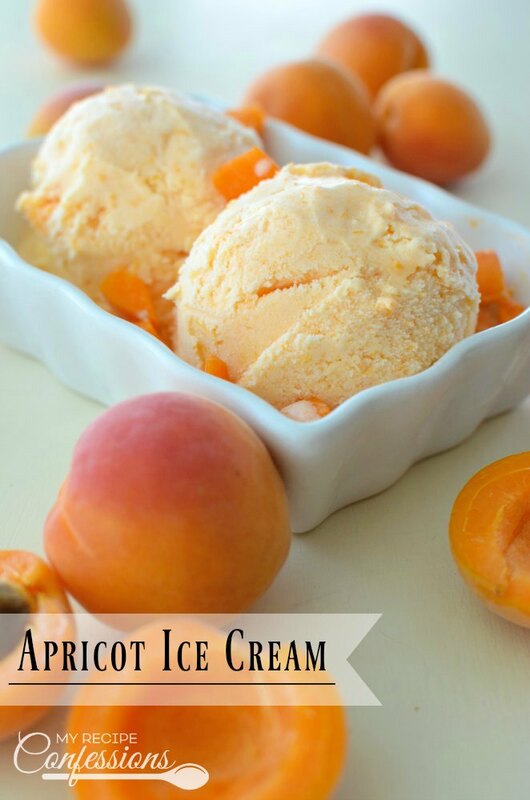 It’s a great dessert to serve on a hot summer night or a cool spring afternoon while you are surrounded by your loved ones. It is also a great way to unwind as you put your feet up and enjoy a quiet relaxing evening at home after a long day. 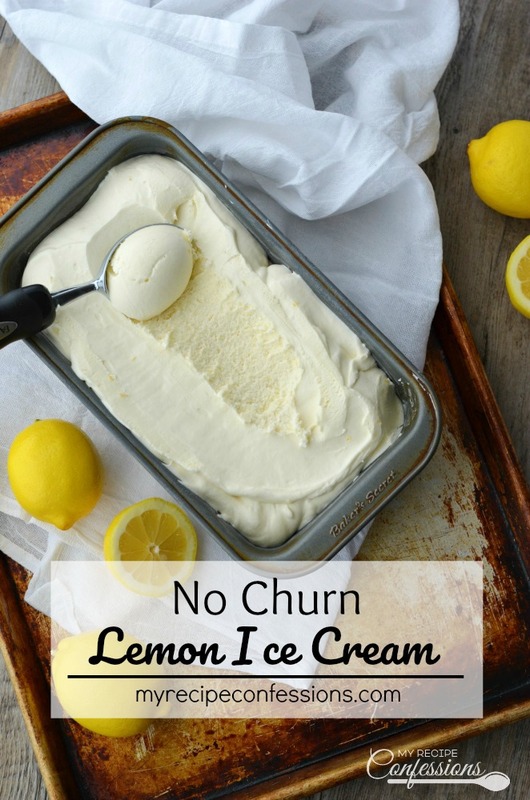 So if you have a freezer, you will love this No Churn Lemon Ice Cream! *If you place your electric mixer whip attachment in the freezer 30 minutes before you need to use them the ice cream mixture will whip up quicker. Scoop the lemon curd in a bowl and heat in the microwave for 1 minute. Whisk the lemon curd until smooth. In a large bowl, mix the sweetened condensed milk, lemon zest, lemon juice, and vanilla into the lemon curd until smooth. Chill in the refrigerator for 30 minutes. Add the heavy whipping cream to the chilled lemon curd mixture and *whip until stiff peaks form. Place the lemon cream mixture into a loaf pan. 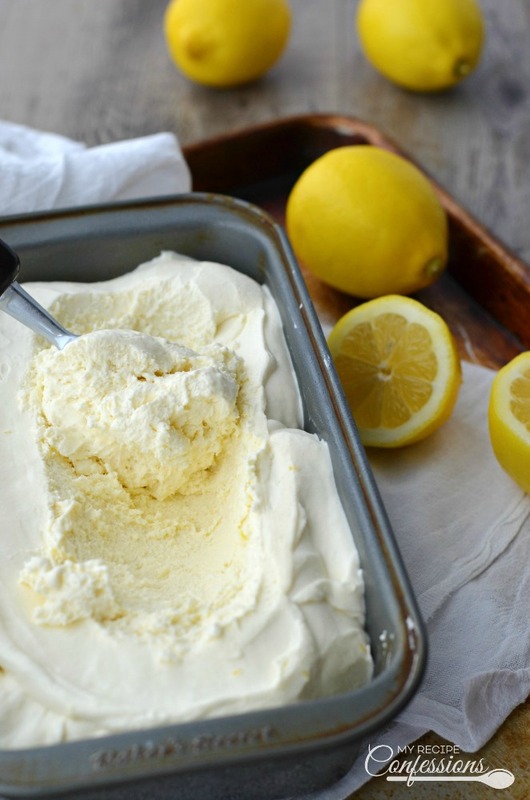 Place a strip of wax paper over the ice cream and then cover with aluminum foil. Freeze the ice cream for 4 to 6 hours or until completely frozen (I leave mine in the freezer over night). Thank you! Carrie, you are the BEST! Your family is so blessed!